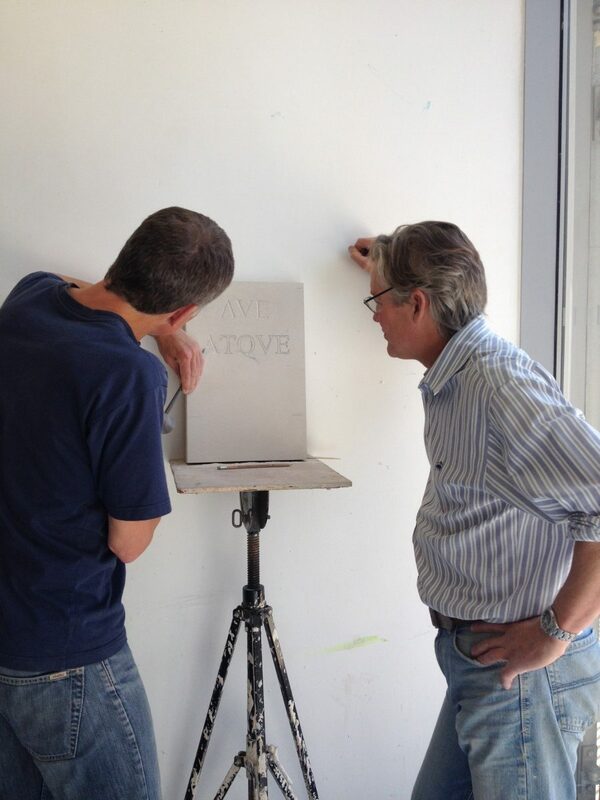 The Two Introductory Stone Letter Carving Course is held regularly throughout the year and takes place over two full Saturdays in the month from 10.00 to 16.30 with a lunch break (which is not provided). Lunches can be taken in the at Café MILK which is on site with a wide range of food and drinks to purchase. If you cannot attend the course, individual tuition is available throughout the year at a mutually convenient time. The Two Day Introductory Stone Letter Carving Course is designed for people who have little or no experience in Stone Letter Carving. There is a maximum of five participants and the courses are suitable for ages 12+ under full supervision. The course is held over two full days on a Saturday to allow people to practice in between the sessions and for the artistic process to begin. Before the course begins, you will be asked to look at calligraphy, lettering and design styles so you get a feel for Lettering before you begin. You will also be asked to think about what you would like to produce and carve during the course as this will save time. Day One from 10.00 to 13.00 Students will learn about the tools and how to use them correctly before they begin. There will be a discussion about how to cut straight, curved, diagonally and in depth creating the all important clean V cut channel. From 13.30 to 16.30 The afternoon will be spent practising what has been learnt during the morning and then the students will begin to cut their first number or letter with personalised tuition and guidance from Simon. We will also look at proportion and spacing. Homework: Students will be required to research designs for their first project. Day Two from 10.00 to 16.30 There will be a discussion about the importance of drawing for preparation before carving. We will look at how to transfer your design from your sketches on paper to the stone and there will be a discussion about style and form. Students will then begin to draw, design and carve their first project. £165 with the use of stone and tools included. Extra stone and tools can be purchased from Simon. Maximum five participants and open to all levels. To reserve a place on the course, payment is required at the time of booking. There is a Cancellation and Health and Safety Policy. In the event of cancellation, please let us know at least two weeks before the course begins otherwise the fees will be due in full. 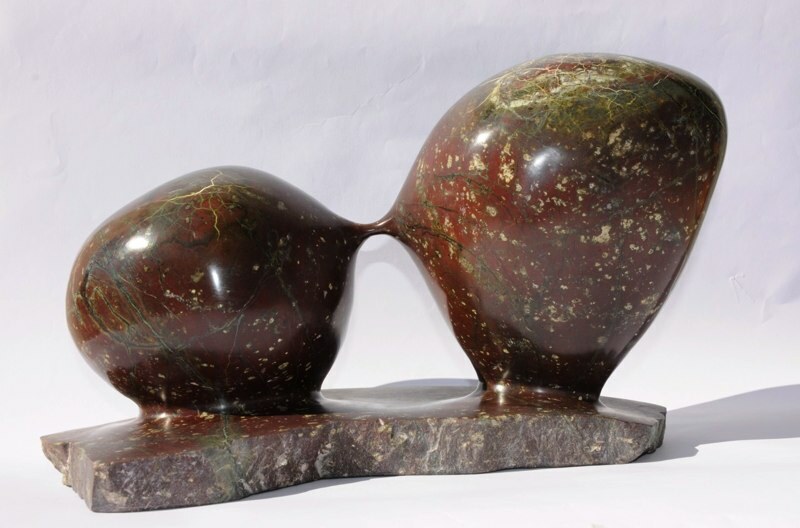 All participants must abide by The Edinburgh Sculpture Workshop’s Health and Safety Regulations. Gift vouchers are available and valid for 12 months. The course is held throughout the year on two Saturdays per month from 10.00 to 16.30 with a maximum of five participants. Course price £165 with the use of Stone and Tools included. Extra stone and tools can be purchased from Simon. If you cannot attend the course, individual is available throughout the year at a mutually convenient time. At the end of the Course, Students receive a Certificate of Attendance upon request. You can download the Information Pack and booking form from here. All you need to do is click the button below to download the form. Complete the booking form and send this to our office. We will then confirm your booking. 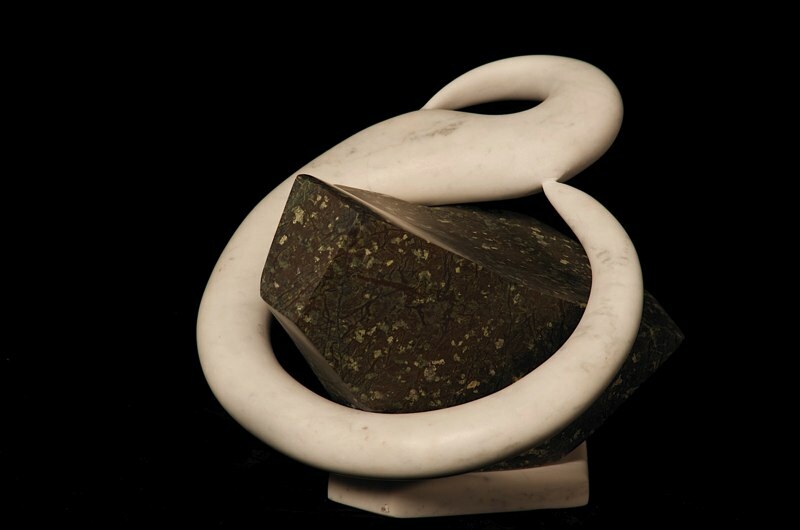 Simon Burns-Cox is a professional Sculptor and Letter Carver working mainly in Stone and Marble but also in other media based at The Edinburgh Sculpture Workshop in Edinburgh, Scotland. 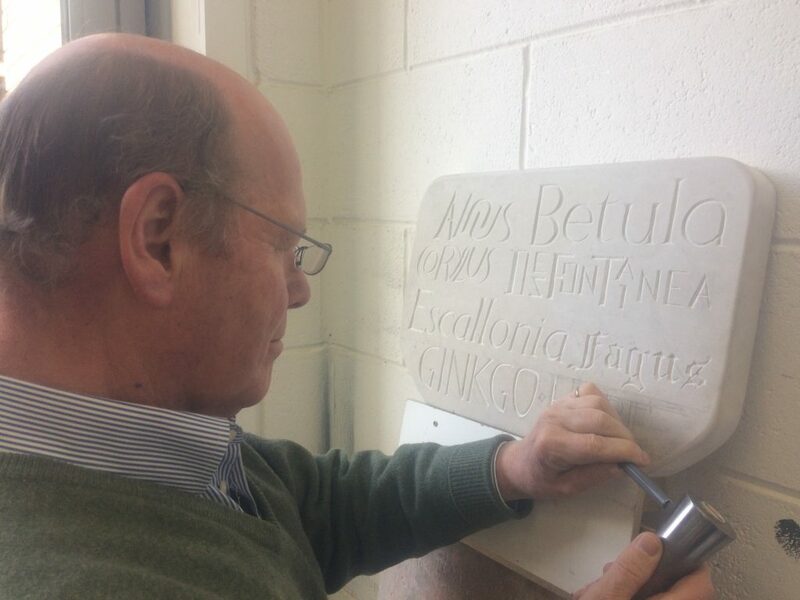 Simon creates Interior and Exterior Garden Sculptures, offers all types of Stone Letter Carving for Home and Business, Hand Carved Gravestones, Memorials, and Headstones and runs Sculpture, Stone Carving and Letter Carving Courses during the year. Simon also supplies Stone, Marble and Italian Carving Tools. He works thoroughout the UK and overseas.